CrocoBlock is a subscription service offering a set of plugins that add functionality to Elementor-built websites. Elementor’s meteoric growth can also be measured by the plugin ecosystem that is flourishing around it. CrocoBlock has fully embraced Elementor and developed a number of plugins that extend it’s functionality considerably – Victoria Shirokova gives us the lowdown on the bundle on offer. 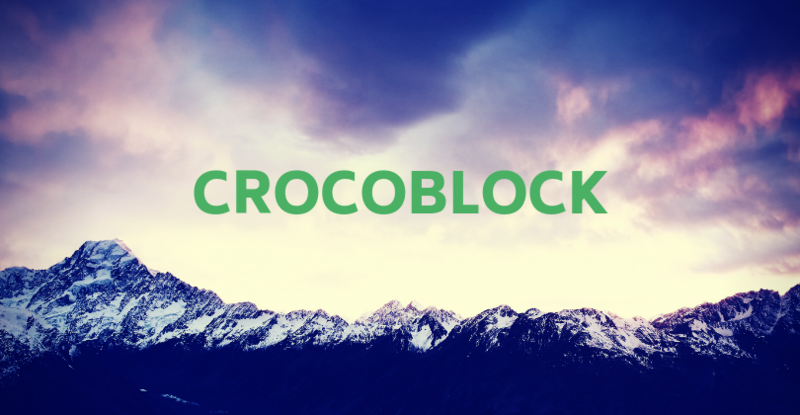 CrocoBlock is a popular subscription service that offers just about everything you need to create a professional website when working with Elementor. CrocoBlock provides a robust set of high-quality Jet plugins specifically made to be used with Elementor for people who want to add more functionality and content widgets to the ones they already have. JetThemeCore allows you to easily create or customize headers, footers, archive, and single page templates. Importing files, using JetThemeCore, is much easier because there is no need for JSON files, extra plugins, and add-ons. Magic Button – JetThemeCore’s Magic Button allows you to access a vast amount of ready-made sections and pages on various themes. With just a mouse click, you have the section’s library at your fingertips. The Magic Button provides you with several pre-designed pages, headers, footers, and blocks. Even though each item in the library is excellent from the start, you still have the opportunity to customize any of them using Elementor. Headers and Footers – JetThemeCore also allows you to customize all of your sections, enabling you to build or change the headers and footers to further increase the customization of your web pages. Archive and Single Post Page Templates – You can also build an archive and single page templates, including your most recent posts and publications. With JetBlog, another of the many helpful tools included in the CrocoBlock collection, you can also form different archive pages easily. JetEngine provides you the ability to add custom fields, meta boxes, custom post types, and taxonomies, making it easy to work without using PHP. With JetEngine you receive various widgets for displaying dynamic content with the Elementor page builder. With JetEngine it is simple to create custom post type templates, term templates. All you have to do is choose the data you need to display (repeater, image, meta field), then all the custom posts or taxonomies will contain the same style regardless of the different content. JetEngine also makes it possible to build listing and grid layouts using the Elementor plugin. JetElements includes over 30 widgets for all sorts of different static and dynamic content, for different purposes including widgets for maps, download buttons, sliders, image layouts, posts, testimonials, contact forms, and much more. JetElements is your irreplaceable assistant for Elementor working with content. JetMenu is a powerful tool that helps you create or change menus while using the Elementor page builder. 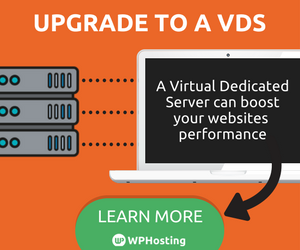 This efficient plugin is irreplaceable when in regards to all the options you are provided to create mega menus, including adding an unlimited amount of columns and content. 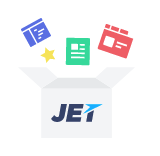 JetBlog is the perfect way to add different dynamic content to Elementor templates. With JetBlog, you can display recent posts via list and tiles widgets. Additionally, this plugin allows you to work with custom fields and custom post types. JetBlocks is an Elementor that can be used to create headers and footers using multiple content widgets. JetBlocks also allows you to build sticky blocks that are extremely useful while scrolling pages. JetTabs is useful for organizing all of your content in easy to use tabs that are similar to the tabs used in folders, which everyone is familiar with by nature, making it easy to organize data and quickly retrieve it. With JetReviews is a great way to encourage and track all of the reviews your site obtains from visitors making it easy to make adjustments wherever necessary. Containing all of the tricks of the trade, JetTricks lets you create amazing visual effects for your Elementor templates. This creative plugin allows you to create stunning pages that include parallax effect, satellite elements, and background animation. Another reason to choose CrocoBlock for your website building needs is their impressive collection of skins to catch the eye of your visitors and make your site look noticeable. Each of the CrocoBlock templates includes a pack of pre-made pages, such as About, Home, Services, Etc., which you can use and customize easily. Currently, there are 30 various templates available, but there are more being created every day. Each of the skins includes fully customizable headers and footers. You can also use the Magic Button to apply any of the customized pages or sections created by other CrocoBlock subscribers. Simply enter the WPHosting10 discount code when signing up for the plan. Victoria Shirokova is a creative writer at Zemez, the company behind CrocoBlock, is fond of top-notch technology and passionate about sharing the latest news in web development field.